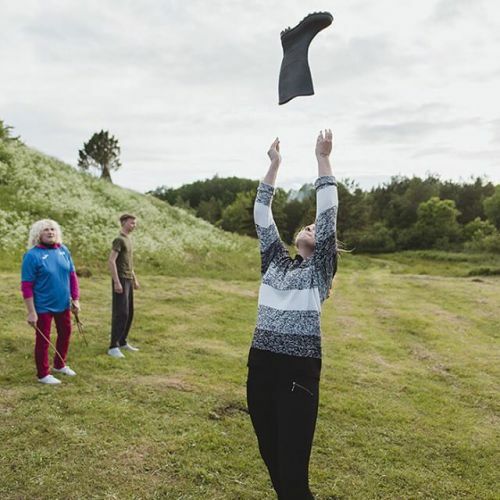 “A girl threw a rubber boot in the air during #Midsummer celebrations on the island of #Saaremaa, a popular holiday spot in the Baltic region’s sneeze-and-you’ll-miss-it summer season. The photographer @fabianweiss photographed Saaremaa and Muhu for a @nytimestravel story on #Estonia. Saaremaa has more guidebook-ready charms than the sleepy Muhu: a church with a stern red Scandinavian base crowned with fanciful mint-green Russian-style onion domes; random meteoric crater sites; sparse villages with lilting, almost Hawaiian-sounding names; and a charming main town, Kuressaare. The writers and photographers at @nytimestravel are taking us on a journey this weekend for #nytweekender. Follow @nytimestravel to see more photos from around the world.” By nytimes on Instagram.